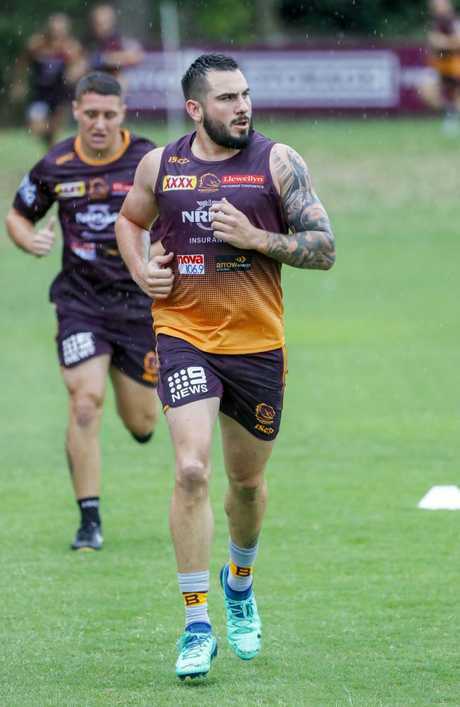 PAYNE Haas has stunned teammates in his return to pre-season training, after winger Herbie Farnworth was the only one who could beat the giant forward in a 1.2km time trial on Thursday. The exciting young prop, who made his NRL debut earlier this year, set a cracking pace at Red Hill on Thursday morning, moving with ease to take the early lead over the likes of Farnworth, Jack Bird, Troy Dargan, Patrick Mago and George Fai. 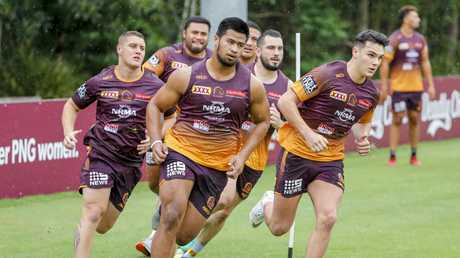 While Bird also looked fit in his return from a sternum injury, Haas made a strong statement in the short session, with 18-year-old development player Farnworth only claiming a win in the time trial in the final hundred metres. The 119kg, 194cm-tall forward showed his promise in just three appearances for the Broncos last year, before a shoulder injury ruled him out for the season. However, it is clear Haas has his sights set on securing himself a regular spot in the 17 next year. Matt Gillett, who did not partake in the time trials, said he knew Haas would be fighting hard to become a first-grader and expected to be falling behind the young gun a lot throughout the pre-season. "Making his debut and bowing out so early with that shoulder injury (last season), it would have been pretty disappointing," Gillett said of Haas. "But that's something he will use to be better and hopefully get a role in that starting 17. There's going to be plenty of competition for a starting role or bench role. "I'll be behind him in the pre-season, watching him go, but I'll do my best to keep up. He's an exciting talent."